Cooking equipment is the No. 1 cause of home fires, causing nearly half of all incidents, according to the National Fire Protection Agency. 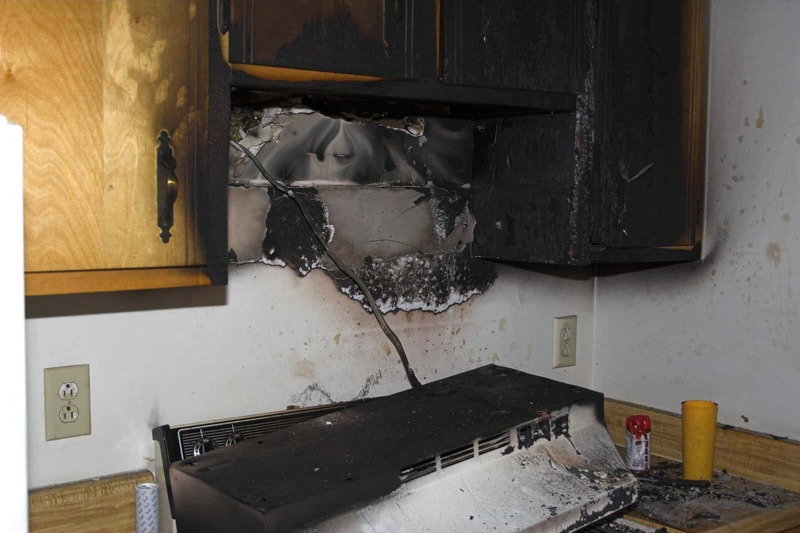 Ranges and cooktops create almost two-thirds of such home fire incidents – grease fires. But do you know the proper and safe way to prevent and extinguish a grease fire? A grease fire occurs when the oil becomes too hot. When cooking with oil, first it will boil, then it will smoke, and then it will catch on fire. It could take less than 30 seconds for the smoking oil to catch fire, so never leave your pot or pan unattended. Keep the grease at the recommended temperature. If you do notice the oil start to smoke, turn the heat down. Most oils can start smoking at around 450 degrees Fahrenheit and can ignite approximately 500 degrees Fahrenheit. Make sure the area around your stove is clear of combustible materials, like cookbooks or paper towels. A grease fire can quickly make a turn for the worse if it spreads beyond the stove. If you do ultimately experience a grease fire, turn off the burner, but do not move the pan. Moving the pan could cause the fire to spread, growing faster and stronger. Do not put water on a grease fire, as the water will sink to the bottom of the pan and instantly evaporate, causing the grease to spread wildly. The best way to stop the grease fire is by smothering it. Keep a cooking or a baking sheet nearby, and cover the pan after you have turned off the heat. Covering the pan will cause the fire to consume what oxygen is left, allowing the fire to dwindle. It is also wise to keep a fire extinguisher ready in the kitchen for extreme situations, but if the fire becomes too much to handle, evacuate your home and call the fire department. While you can take steps to prevent grease fires in your kitchen, one of the most important ways to avoid becoming a statistic is the implementation of a family fire escape plan. For more information on fire prevention, contact a fire safety expert at Brigade Fire Systems on Safety Drive in Belmont, Michigan.